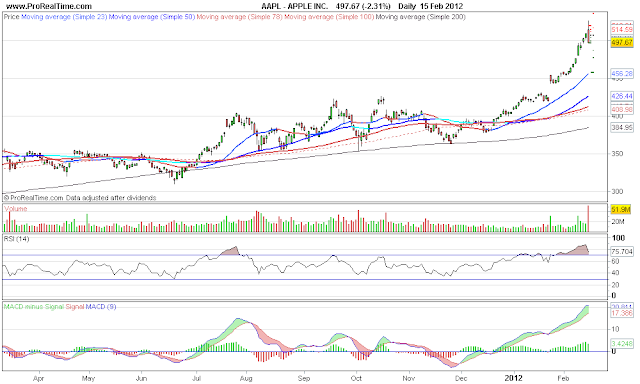 A laymans view of markets, a diary for trading ideas and thoughts: Parabolic move AAPL similar to SILVER? 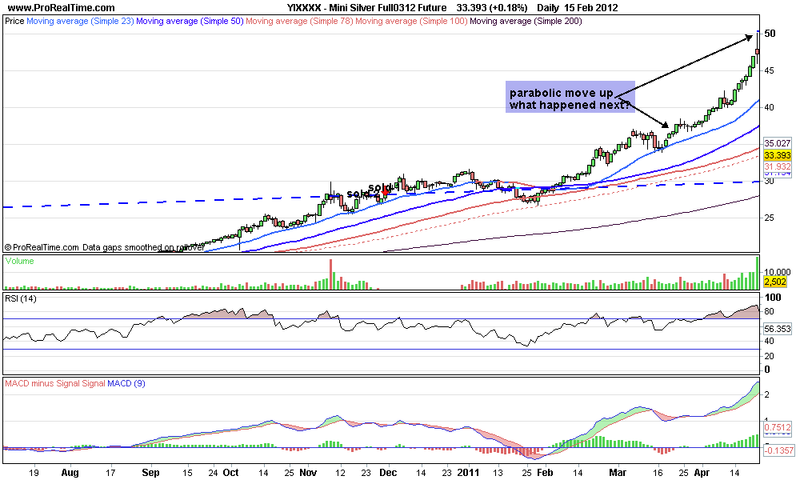 So the initial fall was 2 days, before it rallied to test the highs again and THEN collapsed. 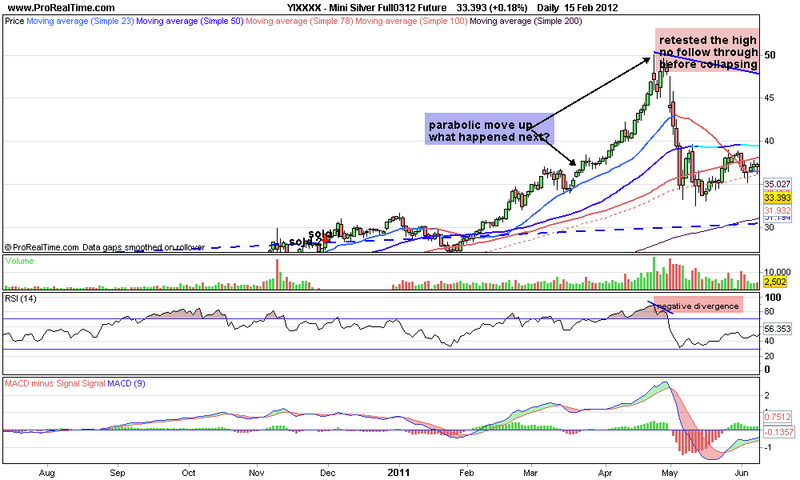 Everybody was very bullish on silver at the time. 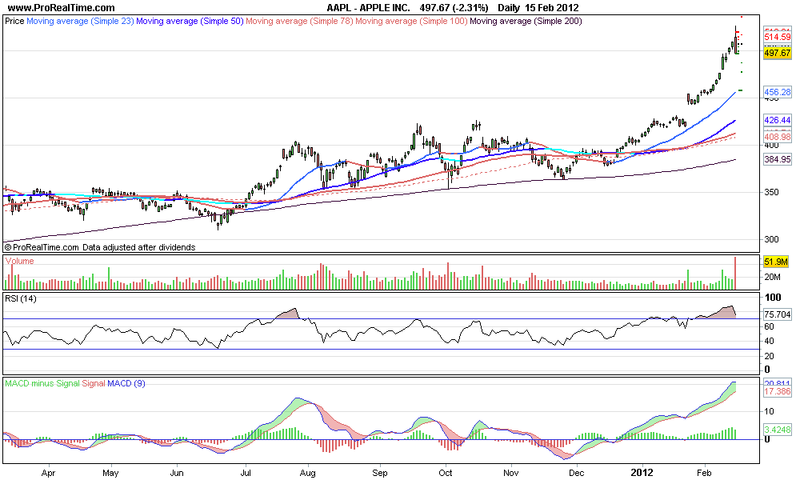 (similar to AAPL now). So probably worth watching to see how it reacts, it may be just a correction, as PARABOLIC moves can and do go much further than people think they will.